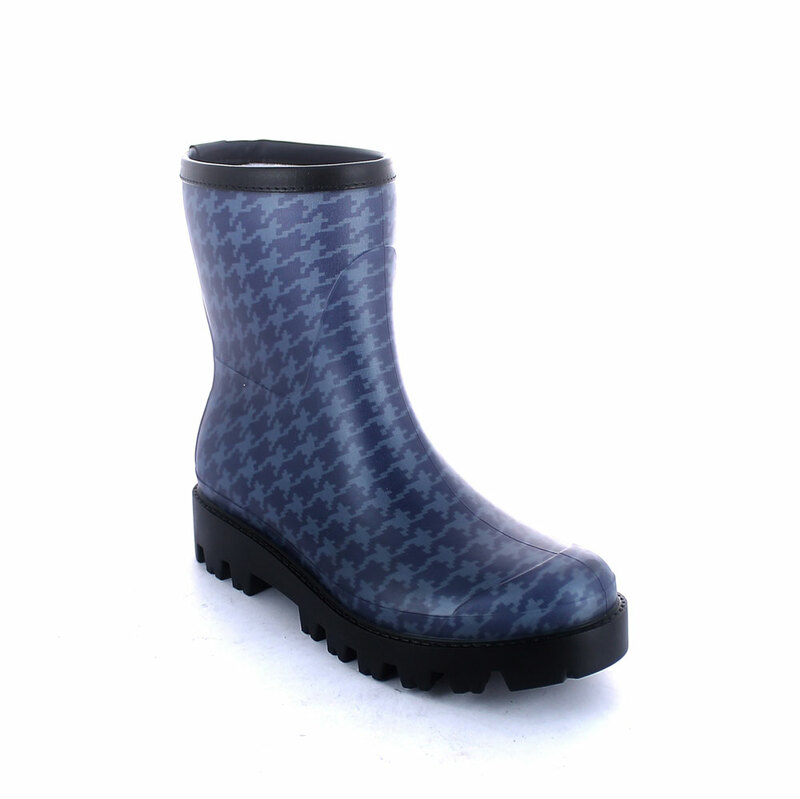 Matt finish transparent pvc Boot with low cut trimmed bootleg - Lug outsole - Cut & sewn sock with "Pied de poule" pattern. Available Colours for orders: azzurro, bianco, bordeaux, verde, ocra.Made in Italy. Size run: 35-41.